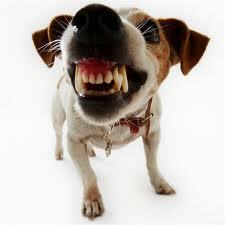 Dog fear and aggression are often the same thing. They are at most one quick flinch away from each other. When a dog reacts in fight or flight mode, this is literally the nanosecond of time when he’s making a “decision” to react with fear or aggression. It’s all just energy surging through him that needs to get released. We need to help make our dogs confident and relaxed and drain any pent-up anxiety in a healthy manner. Then they can enjoy living up to their full, happy, loving potential. We can help you with whatever issues you are dealing with…. whether your dog is reactive to other dogs, fearful around new people, lunges at bicycles, or even if he has bitten someone. Just give us a call to set up an evaluation and you’ll be on your way to having a happy, well balanced and stress-free dog and life again. – Dog Aggression or Fear towards objects – skateboards, vacuums, bikes, etc. Dog fear and aggression specialist.